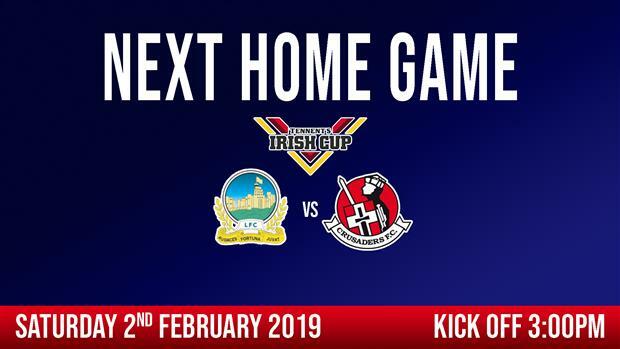 The Tennent's Irish Cup takes centre stage at Windsor Park on Saturday when Linfield entertain Crusaders FC in the 6th round of the competition (3pm ko). This is the first in a four day double header, with the teams also meeting in Tuesday night's CAS Final at the Ballymena Showgrounds. The Blues have held sway in the three games that have already been played between the teams this season winning both home (4-1) and away (1-0 & 2-0). Linfield and Crusaders have won the Irish Cup a total of 43 and 3 times respectively. Those SKY Sports subscribers who tuned into Monday night's live coverage of the 'Big Two' derby at Windsor Park were treated to game packed full of incident and controversy. In the first half the Blues pushed forward with real intent, whilst still looking very comfortable at the back. The early disappointment of being denied what looked to be a cast iron penalty was soon overcome, as the Blues headed into the interval break with two unanswered goals in the bank. But it was 'game on' early in the second half as Linfield appeared to 'sleepwalk' into a two goal salvo from a clearly revitalised Glentoran side. The Blues soon rallied however, forcing the Glentoran backline onto the back foot and into some desperate defending that brought several yellow and one red card. A further two Linfield goals sealed the deal in a thrilling victory (4-2) that was a fine advertisment for the local game. Crusaders come to Windsor on the back of an away win (3-1) at Institute to keep themselves well in contention in the Premiership title race. Manager Stephen Baxter will be looking for his team to put down a marker with a big result against a Linfield side who are right on top of their game. The Crusaders manager has in common with his Linfield counterpart, an experienced squad of quality players at his disposal. This includes former Linfield players Rory Patterson, Billy Joe Burns and Sean Ward, who if they are selected to play, will I am sure all be of special 'interest' to the home supporters on Saturday! Another former Blue, Michael Carvill has just moved on to Dungannon Swifts. David will have been delighted with the recent match winning performances in what have been difficult games. 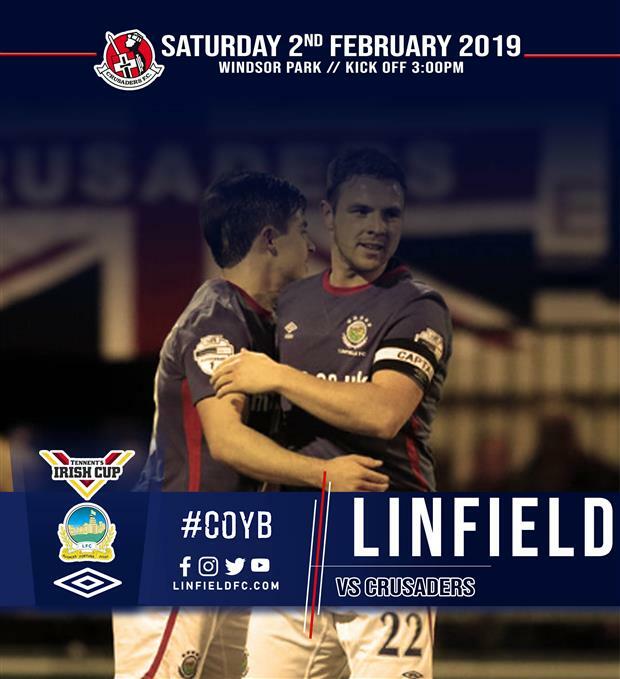 The current run of excellent form in all four competitions has ensured a congested fixture list that will further test the mettle of this Linfield side. But what player or indeed supporter would have it any other way? It promises to be another feisty and competitive afternoon of football, with no quarter asked or given. It is all to play for in what is undoubtedly the Irish Cup tie of the round. COYB!